Why Is Sacramento the Fastest-Growing Big City in California? Many of you had the right idea when you decided to move into apartments for rent in Sacramento. This up-and-coming city is certainly on the rise, and people are moving from all over the bay area to make a life for themselves in this newly thriving community. But it wasn’t always this way. 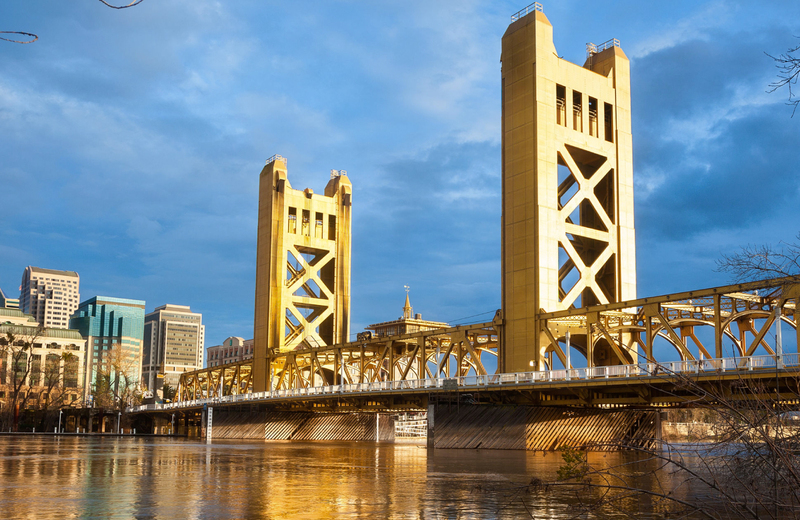 Many factors have come into play in recent years that made Sacramento such an enticing option. With a population of more than 500,000 people for the very first time, it’s actually grown the quickest out of the 10 biggest cities in California, based on data that was recently provided by the Department of Finance. In fact, with this tremendous growth rate, Sacramento is now the sixth biggest city in the state of California as well. And residents seem to really like living in this thriving community and it’s really becoming such a great place to live. Among the biggest cities in the state, Sacramento has seen a population increase of 1.43%. The second fastest-growing community is in San Diego, which has only seen a 1.42% growth rate. Now that you have this information in front of you, you’re probably wondering why Sacramento is becoming so popular these days. To help you better understand, we’re going to share some of the biggest reasons why people in the bay area and from other areas in California are suddenly beginning to populate Sacramento and move into this exciting community. Obviously, if you’re going to move to a new community from the Bay Area, you’re going to pay close attention to median home prices. On average, the price of a home in San Francisco is about $1.25 million and the average price of a similar home in Sacramento is only around $310,000. Are you starting to see why people are scrambling to move to Sacramento? It’s still very close to San Francisco, yet it’s about four times cheaper to live here than in the heart of the big city. But the average person doesn’t have the kind of money that it takes to pay over $1 million for a new home, even if they are a tech wizard. So people are moving to this beautiful community, where they can relocate and find high-paying jobs that make it very easy to afford a mortgage for their relatively inexpensive homes, at least when compared to the outrageous prices in San Francisco. Others are moving here because it’s very inexpensive to rent an apartment in Sacramento. And who knows, maybe these renters will eventually put a down payment on a new home one day or they could even buy a luxury apartment. The sky’s the limit when prices are so much more affordable. At this point in time, many of today’s young upstarts and tech savvy bay area workers are capable of working from home the majority of the time, and only have to travel into the city once in a while. That’s the beauty of being so connected. People do not have to maintain a traditional office job any longer. They can work right from the comfort of their own home and still make a significant salary without having to go into the office every day. Plus, entrepreneurs and other business owners are also beginning the flock to the area because the prices are so low. They are starting to open up companies in the community and more jobs are now plentiful in this area than ever before. So, with the healthy job market and the ability to telecommute, it’s very easy to live in Sacramento and still have an excellent job without having to worry about being unemployed or running out of money due to a lack of work. As you can imagine, this healthy job market is definitely a very attractive quality for this area. In fact, it’s one of the main reasons why Sacramento finds itself suddenly on the map as one of the greatest places to live in California. We all know how much you loved living in the bay area, and particularly how much you love going to San Francisco. Moving into Sacramento doesn’t mean you have to give up the bay area for good. In fact, you can get their relatively quickly if you feel like dropping in for a day trip or a quick weekend getaway. Guess what? San Francisco is only about two hours away from Sacramento. Now that’s a commute you surely wouldn’t want to make every day of the week to get to the office, but it’s certainly manageable to do every once in a while if the situation is warranted. Maybe you’d like to go into San Francisco one day to take in a show, or visit with your colleagues, or maybe grab a bite to eat in one of your favorite restaurants. You can make an entire weekend out of it and spend a couple of nights in a hotel. You’ll have the extra money now that your rent or monthly mortgage payment is so cheap because you decided to live in Sacramento instead of paying outrageous prices in San Francisco. Most people prefer living in an affordable community with the potential to invest in real estate that will eventually rise in value as the city becomes bigger and more popular. If this sounds even slightly appealing to you, then you should seriously consider moving to Sacramento and spend time in San Francisco when it’s most convenient to visit.